Orthopedics this Week recognized Colorado orthopaedic and sports medicine specialist Dr. Peter Millett as one of the top shoulder surgeons in the United States who have demonstrated innovation, leadership and clinical excellence in the subspecialty field of orthopedic shoulder surgery. Colorado shoulder surgeon Peter Millett MD, MSc was selected by Orthopedics This Week as a 2015 Top Shoulder Surgeon in North America. The list consists of 20 shoulder surgeons in the United States who are considered the leaders for their innovation, leadership and clinical excellence in their orthopedic subspecialty. The list was created by surveying thought leaders in the field of sports medicine and orthopaedic surgery. 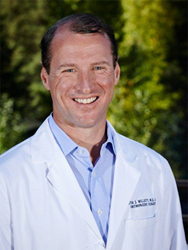 Director of Shoulder Surgery at The Steadman Clinic in Vail, Colorado, Dr. Millett is committed to orthopedic research. In 2015, he published two impactful studies on the shoulder: “Two-Year Outcomes After Arthroscopic Rotator Cuff Repair in Recreational Athletes Older Than 70 Years” and “Outcomes Following Arthroscopic Pancapsular Shift for the Treatment of Multidirectional Instability.” Dr. Millett’s research is focused on the development of new techniques that improve outcomes using advanced arthroscopic and open surgeries to restore damaged parts and to keep people active. Consistently selected as a top orthopaedic surgeon in North America, Dr. Millett is recognized internationally for his innovative work in orthopedics and sports medicine. One of his peers stated, “He has a terrific commitment to research and clinical excellence. His motion studies on the shoulder – as well as his arthroplasty research – truly stands out.” Through innovative orthopedic research and the subsequent advancements in orthopedic treatments, Dr. Millett consistently delivers leading-edge care to patients who travel from around the world for his expertise. “I am honored to be considered a top shoulder surgeon in North America and am blessed to work with such highly motivated patients and with such a dedicated team of professionals at the Steadman Clinic and Steadman Philippon Research Institute who help improve the quality of surgical care we deliver,” said Dr. Millett. The Steadman Clinic is a world-renowned orthopedic and sports medicine clinic located in Vail, Colorado. Its physicians are consistently recognized as leaders in sports medicine research and treatment. The Clinic’s mission is to keep people active through innovative surgery, research and education. The clinic collaborates with the Steadman Philippon Research Institute to develop and refine surgical and rehabilitation techniques that promote faster and more successful healing of injured joints.